Whether you're a home owner or renter, ugly stains and mold on tile and grout in the bathroom, kitchen and floors is something you just don't want to see! It's important to feel that your home is fresh, truly clean, and not harboring any molds or mildews that can cause health problems for you or your family. If you have stained grout and tiles in any room in your house, you can be sure that it's harboring dangerous bacteria. Squeegee excess water off the walls of the shower after use. Use a microfiber cloth to wipe down fixtures, and glass door or partitions. Leave the shower door slightly open after bathing to let air circulate so that moisture doesn't linger. In the kitchen, always use a cutting board for food preparation, and don't prepare foods directly on tiled counters. But If You've Got Grout and Tile Trouble, There Is A Cure! 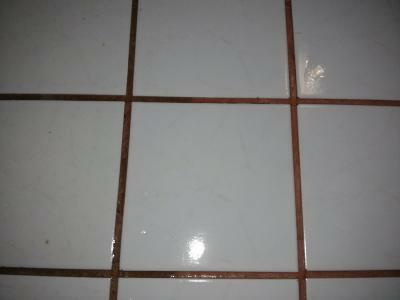 In Belleville, IL tile and grout cleaning is a lot harder than preventing them in the first place. But when you're moving into a new house or rental with grimy tile and grout, don't waste time. Your best bet is to seek help from a professional cleaner. We bring our professional know-how, an array of new Belleville, IL tile and grout cleaning products, and a ton of elbow grease to bear on your grubby tile and grout and make even vintage tiles and fixtures shine like new! Steam cleaning is a great option for renovating and sterilizing stained floor grout and tiles. Plus, there are a variety of effective solutions that do a great job without leaving a chemical residue, unpleasant smells, or damaging colored grouts or tile finishes. You can reach Reliable at 618-233-5775 or check out Belleville, IL Tile and Grout Cleaning From The Best .